These presorted boxes will have a variety of veggies and fruit for you and your family to enjoy each week. 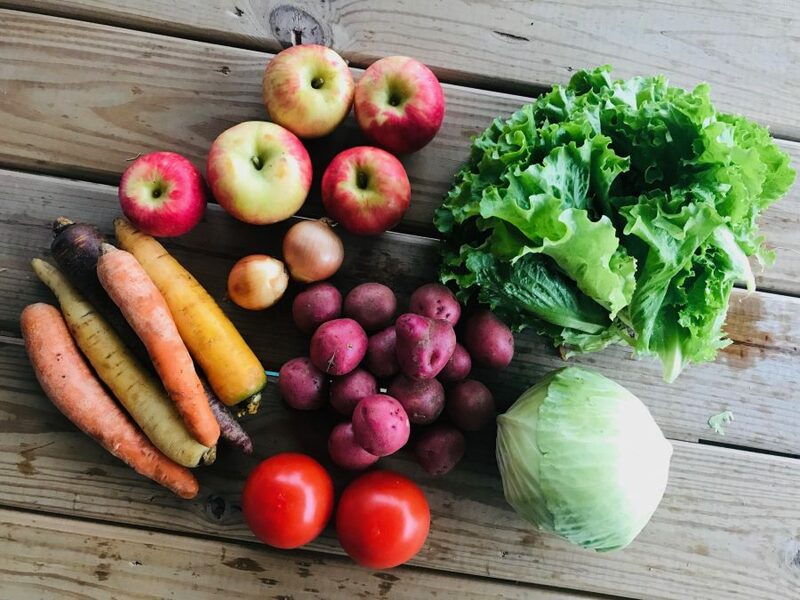 Our traditional CSA boxes encourage you to enjoy Michigan’s best variety of produce when it is in season and incorporated a wide variety of veggies into your diet. You also are able to try out new produce and recipes that you may not have otherwise tried. The boxes are prepackaged for quick and convenient pick up. Holland: Wednesday | 10am – 6pm. Pick up is at our farm store. 5888 120th Ave, Holland, MI 49424. Muskegon: Thursday | 6am – 12:30pm. Our market stand at the Muskegon Farmers Market. Full Session (21 weeks): The week of June 3– the week of October 28, 2019. Session # 1 (7 weeks): The week of June 3 – the week of July 22, 2019. Session # 2 (7 weeks): The week of July 28 – the week of September 9, 2019. Newsletters will be emailed to shareholders every week with recipe ideas and information from the farm. **Please check your spam box for the newsletter if it does not come to your inbox. There will be 6 – 8 items included in the produce box each week. 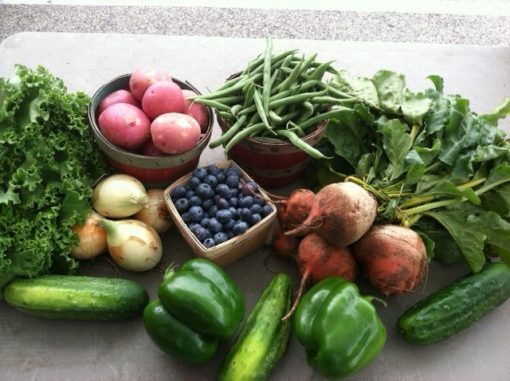 Variety and quantity of produce will vary depending on the time of year, field conditions and weather. We do plan to have 1 type of fruit in the box each week. 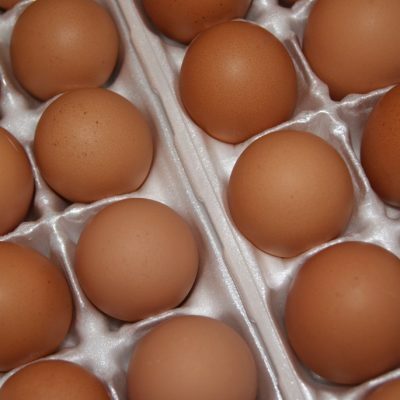 In order to give you the best variety of produce we will be working together with area farmers. To see the complete list of what could possibly be in the shares please see the Produce Calendar. **Please note that this is primarily a vegetable share and it will generally be a small serving of fruit each week. 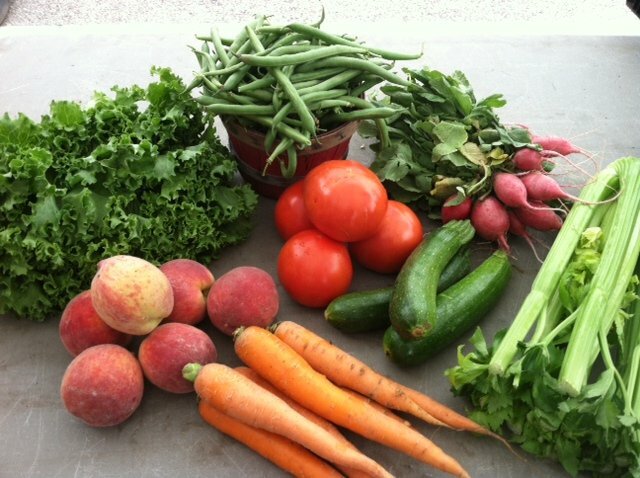 To find out what will be included in the CSA boxes you can join the farm CSA facebook group. You can also look on the blog section of the website. The list will be posted on Saturday night. What is included will also be listed in the newsletter that is emailed out on Monday nights. **Please note what is included in the boxes may change.